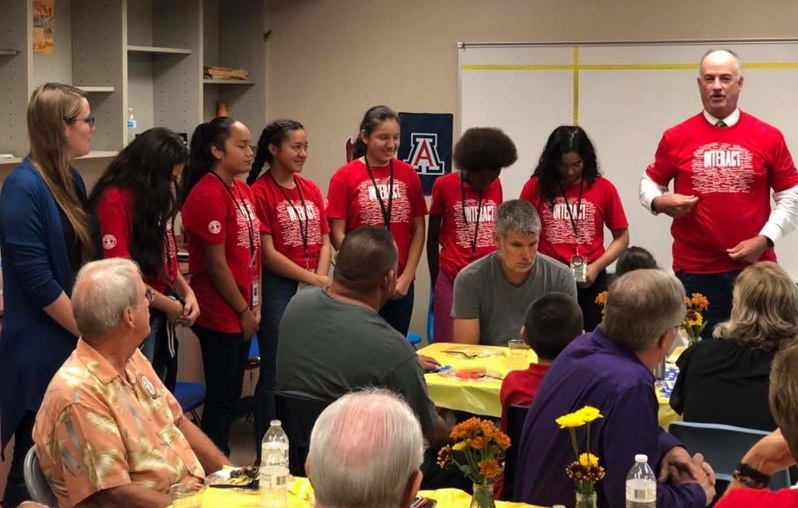 In October, the Sun City Rotary Club honored Students of the Month at Challenger Middle School in Glendale. Parents and grandparents were pleased to see the children honored with the obvious love, respect and encouragement shown by Rotarians. 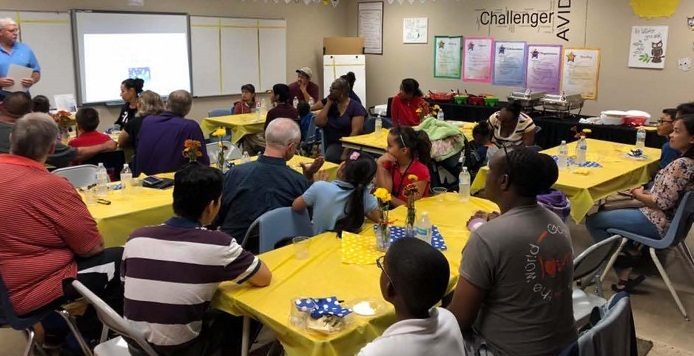 The club provides a catered lunch at the school every other month, which allows for more families to attend, giving those honored fourth through eighth grade students more recognition at the school. Excellent food and service was provided by the club’s weekly caterer, One Step Beyond Culinary Services. Six Challenger Middle School Interactors helped with the setup and cleanup. In the midst of the meeting, Saint Mary's Food Bank arrived to pick up several hundred pounds of food and water collected by the Interact Club. Students, Interactors, staff, dads and Rotarians quickly created a "bucket line" to move the goods out of the meeting room for Saint Mary's, dramatically demonstrating that we are, indeed, People of Action!